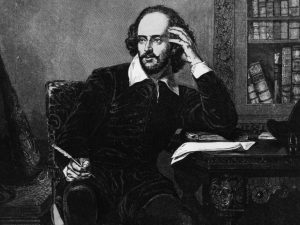 Shakespeare, unequivocally a genius and born over 450 years ago; this undisputed master of the art of expression, articulation; prose and poetry would have been denied entry into the so-called sacrosanct “Halls of wisdom and learning” as currently plague the educational world. In the context of today’s elitist, pretentious and biased educational systems; with the tremendous amount of control they exert over society and the extreme wealth they collect; the inimitable William Shakespeare, even after creating the body of literature which he did; would not have been permitted entry into a single graduate (Masters) or post graduate (Doctoral) program in any college/university today, by virtue of the fact that he did not possess a simple scrap of paper (diploma) from a supercilious Bachelor’s degree program administered by some mundane, yet pompous, pedantic, pedagogue from a ‘recognized’ school of ‘higher’ learning. When I say “recognized” think of the usual definition and the ‘awe’ with which society views these deified institutions. This attitude of ‘splendor’ and superiority which spawns a state similar to religious worship engenders admiration and esteem. This ‘system’ has become thoroughly entrenched world-wide through many centuries of: propaganda, disinformation, government endorsement-indoctrination, and institutional proselytism. If you’re not part of the unrivaled, condescending, insidious in-crowd, you are ostracized; so better play by their rules, or else! Truth be told, Shakespeare didn’t have formal education on his side, but was self-taught and he was quite the entrepreneur as well as astute businessman. He was popular not only because of his wit, intellect and ability to edify and entertain…but because he possessed a faculty of “self-promotion”. Being self-taught, Shakespeare was essentially a self-made man. In this life-long process of “teaching himself”…he picked up all sorts of invaluable information which is not taught in any school; then or now. Good old non-conformist William was eventually able to influence the King to sponsor his theater and theater group; thus earning great acclaim, as well as the prestige, influence and wealth that went along with it. Shakespeare goes on to say: “Or to take arms against a sea of troubles, and by opposing, end them?” I am taking license to use this soliloquy and apply it to present day education and like W Shakespeare, use it for self promotion. How indeed to: ‘End this sea of troubles?” Easy. If you are of average to above average intelligence, have a modicum of experience and possess the desire to succeed; there are options today as simple as an: online college university degree, or an Honorary Doctorate Degree. Shakespeare leaves us with: “It is not in the stars to hold our destiny but in ourselves.” Take action. Save yourself…for no one else will do it for you in this money motivated, profit incentive dominated, avaricious educational milieu.